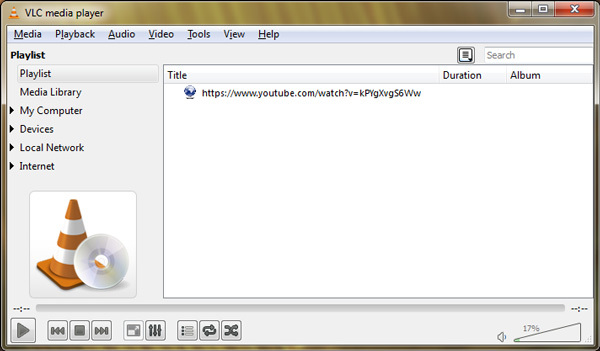 Did you knew that VLC media player can also be used to play videos from YouTube. Well, generally YouTube’s video player is sufficient for most of us. But there are people who would love to watch YouTube videos with full fledged control over the Video. If you watch videos on YouTube, you would have already known that YouTube’s video player provides you very limited control over the videos. 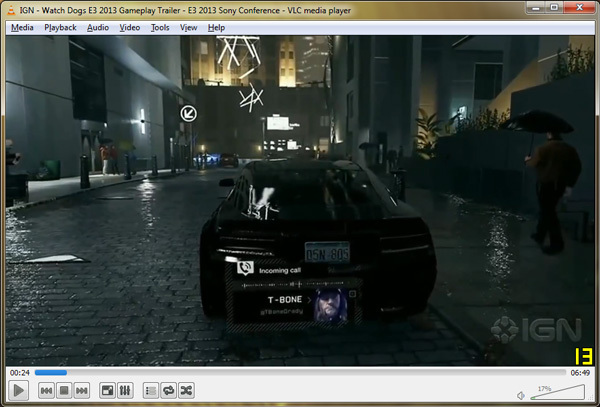 With YouTube video player you are limited to controls such as play, pause and even the volume is also limited to a certain level. While for small YouTube videos, you won’t require much control over the YouTube video player, but in case you are going to watch a YouTube video which has a longer time duration, you should try playing it on VLC media player.For those you are tired of using YouTube’s default player, you can use use VLC instead. You don’t need Adobe Flash Player. 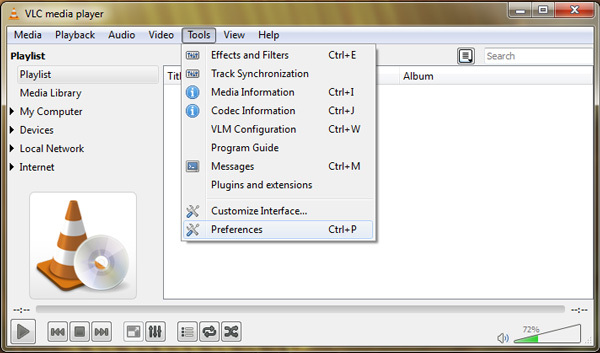 You full screen, boost volume to 200%, equalizer, shortcuts and all the features of VLC. Your videos don’t drop to 144p if stuck. So now that you know VLC is capable of playing YouTube videos with full fledged controls, follow the instructions below to find out how you can play YouTube videos using VLC media player. Step 1: Run VLC media player and navigate to Tools > Preferences. Step 2: Under Show settings, select All. 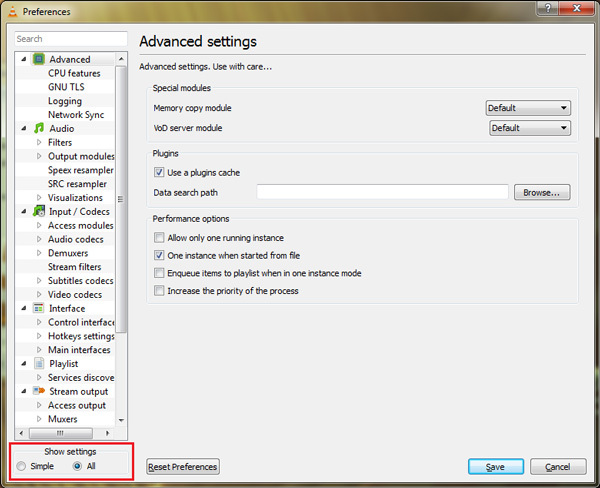 Step 3: Click on inputs / codec tab on the left. 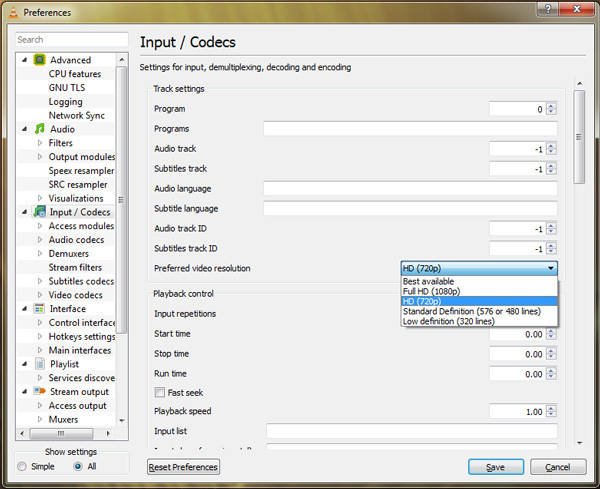 Under Track Settings, click the Preferred video resolution drop-down list and select HD (720p). Playing YouTube videos in VLC media player is very simple, Simply drag the URL of a YouTube video and click on the play button to start playing the video.Additionally you can even add multiple YouTube video urls and they will start playing sequentially.